Generally speaking, it’s recommended that you get your vehicle’s oil changed every 5,000 to 8,000 kilometres, or every six months. This can vary quite a bit, depending on the age of your vehicle, how many miles on it, and what type of vehicle it is. If you have a newer car or truck, then it’s important to stick to the oil change schedule in your vehicle’s manual, or else you may void the manufacturer’s warranty. If your vehicle is older, then it’s essential to keep up regular maintenance in order to prolong its lifespan. Your automobile’s engine consists of many different moving parts. In order to prevent friction between these parts from occurring, oil is used to lubricate and absorb the heat caused by the friction. Oil in your engine is only good for a certain period of time as the chemicals can break down over time and become less effective. 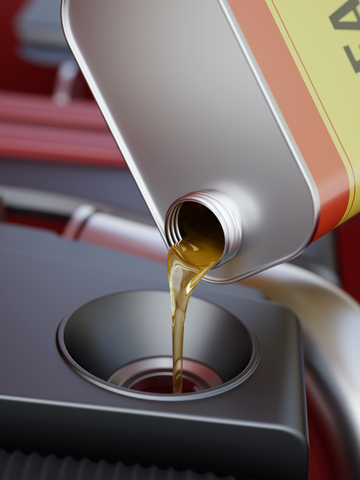 This is why regular oil changes are important – to keep the oil fresh and your engine properly lubricated. Because the oil flows throughout the engine, it can pick up other things, such as small metal shavings, other fluids, and things that signify a problem with your car. Oil leaks, clogs in the system, and issues with the oil pump can all be determined during a routine oil change. Picking up on these things early, can prevent additional damage to your automobile from occurring – saving you money in the process! Thankfully, oil changes are fairly quick to do, and are one of the least expensive parts of vehicle maintenance. Inquire about getting your vehicle’s oil changed at Park Muffler by contacting us today.